The Ford Explorer is made to do what it’s name entails: explore. Ford has ensured that there’s a trim for you, with the power appropriate for your level of exploration. Ford knows that one size doesn’t fit all, so they’ve outfitted a various trims to help you journey through the city, the suburbs, the canyon, or trail. The Base and XLT come standard with the 3.5L Ti-VCT V6, with 290 hp and 255 pound-feet of torque; however the 2.3L Ecoboost I-4 is also available, with 280 horsepower and 310 pound-feet of torque. The Limited comes standard with the 2.3L EcoBoost I-4, however the 3.5L Ti-VCT V6 is optional on this trim. 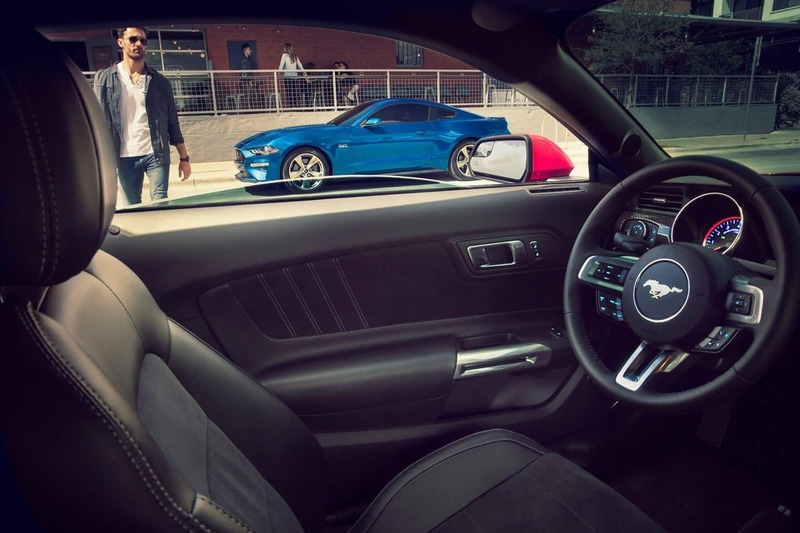 The Sport and Platinum’s standard powertrain is the 3.5L EcoBoost V6, with 365 hp and 350 pound-feet of torque, and feature Intelligent 4WD, including the Terrain Management System and Hill Descent Control. Finally an SUV that is both stylish and ready for any task you throw at it. The distinct LED head and tail lights will shine through the roughest of weather. Whether you like the 18″ Five-Spoke Sparkle Silver-Painted Aluminum tires of the base model, or the 20″ Machined Aluminum Wheels with Painted Pockets tires on the Limited model, style comes standard on every trim. The Ford logo proudly rests upon the iconic front grille signifying that the Explorer is Ford tough. There are 8 vivid colors to choose from. We love the Oxford White. Settle down into the leather seats of your 2019 Ford Explorer XLT and enjoy the ride! The roomy cabin has several storage slots for all your personal items. 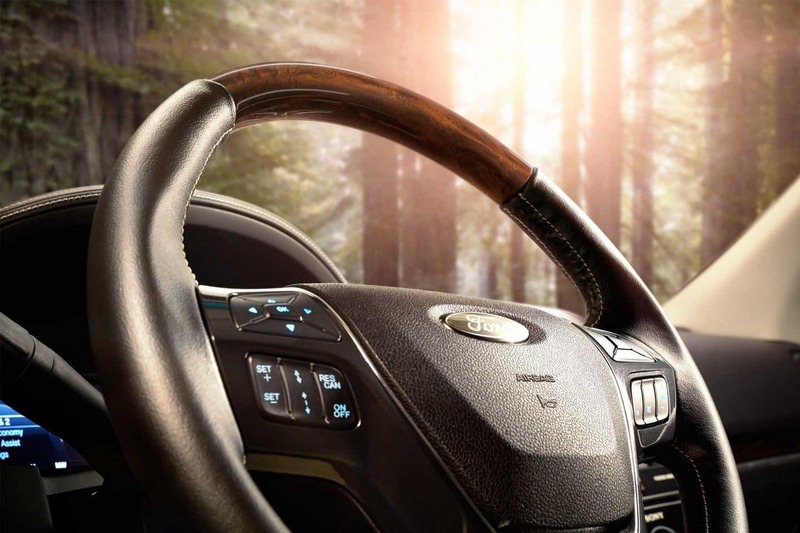 A voice activated touchscreen with navigation comes in the XLT and higher models. Enjoy your music on the 12 Sony speakers integrated throughout the cabin. 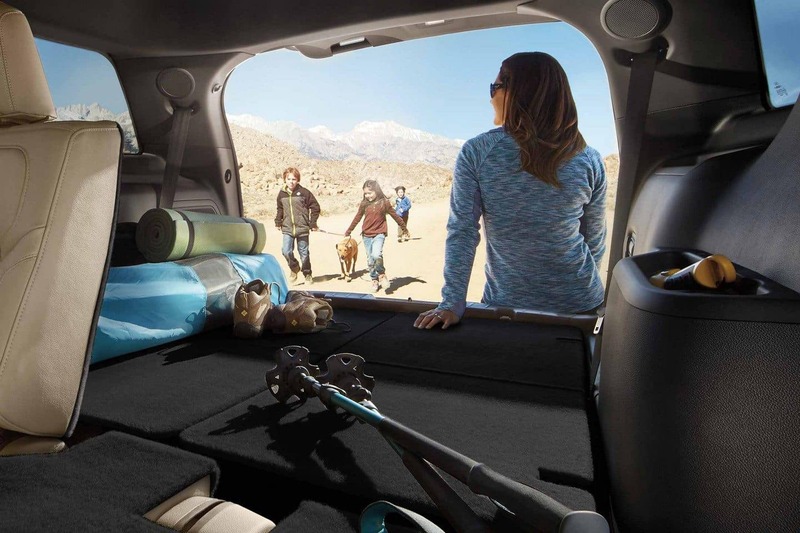 There is not more room than ever in the Ford Explorer. With Second-row 60/40 split-fold-flat bench seat and third-row 50/50 electric fold down seats available, loading your cargo has never been easier. The 2019 Ford Explorer was designed with helping the driver in mind with such features as Park Out Assist, Front 180-Degree Camera, Side Parking Sensor, Parallel and Perpendicular Parking Assist. 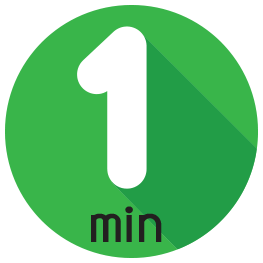 Download the FordPass App to control your car remotely and never have to spend another second wondering if you left the car unlocked. Every Explorer model will get you where you need to go in style, as well as with ease, but the Platinum trim offers an amazing amount of features that we think you’ll love. As previously mentioned, this trim is equipped with the 3.5L EcoBoost and Intelligent 4WD, but it’s more than just power and a great 4WD system that sell this highest tier trim. With many available colors from which to choose, the Platinum’s features will go well with any color you select. 20-inch Bright Machined-Face Aluminum with Tarnished Dark-Painted Pockets come standard, as do Auto High-Beam Headlamps, LED fog lamps, rain-sensing wipers, a remote start system, a twin-panel moonroof, and a foot-activated liftgate (perfect for opening the rear when your hands are full, with groceries, gear, or adventure). Additionally, the Ford Safe and Smart Package comes included, as do the following: Class III Trailer Tow Package, Blind Spot Information System with Cross Traffic Alert, Enhanced Active Park Assist, Forward Sensing System, Front 180-Degree Camera with Split View and Washer, Lane-Keeping System, Premium 500-Watt Sound from Sony with Clear Phase and Live Acoustics, Sync 3, Voice-Activated Navigation System, and Nirvana Leather Front Bucket Seats with Micro Perforation and Quilted Bolsters. 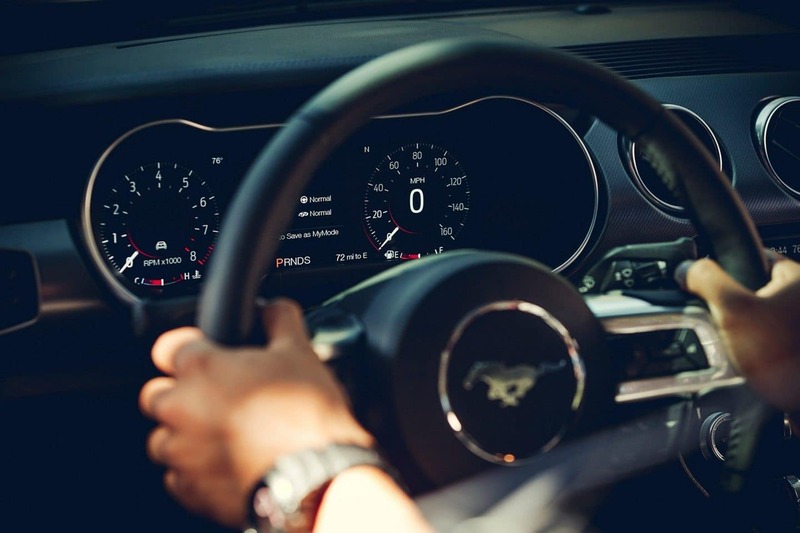 There are more standard features on the Platinum, and we at College Station Ford would love to show you all the other features, as well as these aforementioned features, in person. This is College Station Ford, and we want to show you that the Explorer of your dreams awaits you on our lot. We have used vehicles, but we really think the new Explorer is everything you need. This is the best SUV on the market, and it’s on sale now, at a price that’s unbelievable, especially given all the features. 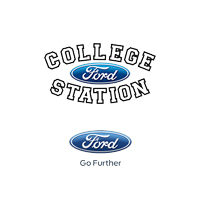 So make the drive from Bryan, Navasota, Hearne, or Huntsville, and see why College Station Ford is the premier Ford store in Texas. A handshake still means something at College Station Ford, so come on down, and let us show you around the new Ford Explorer.